I love finding new places to eat and enjoy vegetarian food! It’s kind of a “thing” for me and my hubby to do. But, I have to be honest…when my husband pulled up in front of this place, in my mind I thought, “WHAT??? SALAD???”. Of course, I kept a smile on my face. He was taking me on an afternoon date, and I didn’t want to crush his spirits ya know. As we walked in I was thinking, “Perhaps they have some pasta dishes, or perhaps some good deserts. But, NOPE! Just Salads. This place literally is a Salad place! They just do….salad 😕. Again, keeping my composure we walked to the front and I began to notice that this was a bit more than just your ordinary “Salad Place”. The young lady behind the counter was very nice and knew by the look on my face that I needed a bit of encouragement. Don’t get me wrong, I LOVE SALAD. But, I usually eat it with something else…you know, like a lasagna or something, lol. 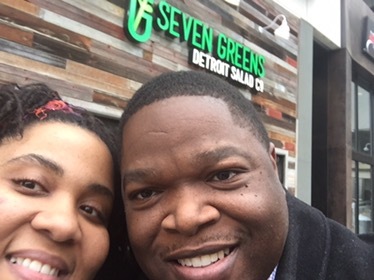 She introduced me to this NEW HEAVEN of options regarding greens, and salads. 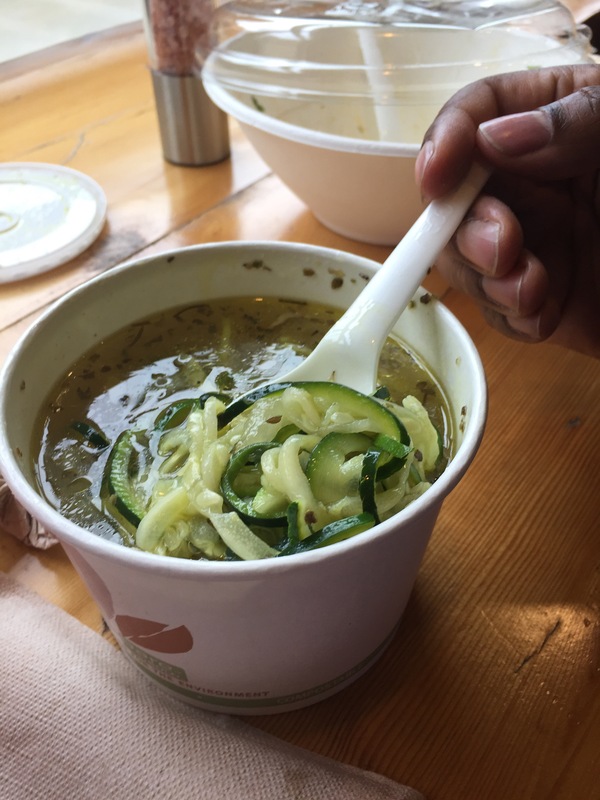 They also had soups as well. She helped me choose something that I would like. I wasn’t really sure, based on just what I shared with her about my taste and things I enjoyed. However it turned out AMAZING! The dressings combination she chose for me was “ON POINT”. I had a little bit of everything in my bowl (Which by the way wasn’t a small portion either). Yea, the prices are a little high, but they give you A LOT A SALAD! Yep, it was a Salad joint. Nothing like your “Diners, Drive-ins and Dives”, but it truly is the BEST salad experience I’ve ever had. So much to choose from, but they walk you through to help you have the best experience, and ensure you will like what you eat. Every topping you could think of, with combination I had never imagined! AAAaaaaand, they have GLUTEN FREE breads, cookies and other goodies! This is a place where everyone will be happy 🙌🏼. 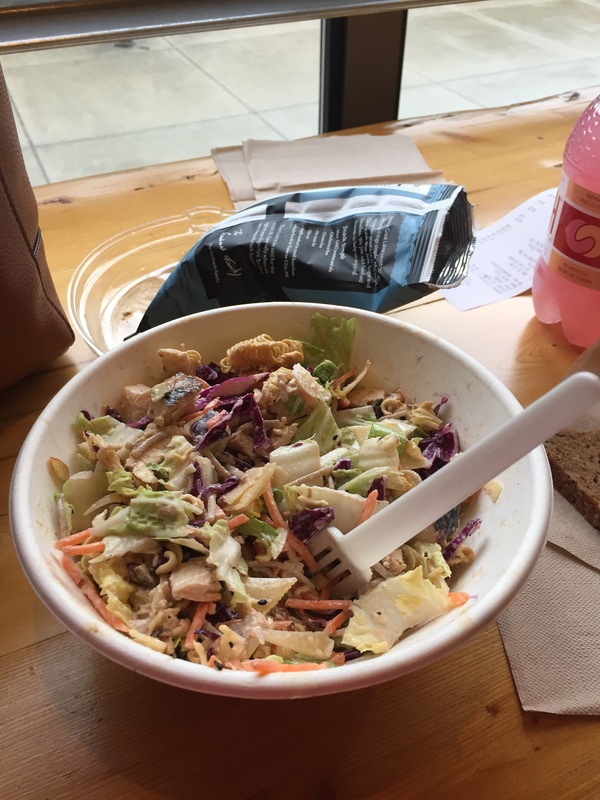 Turns out, I LOVE this salad joint and I encourage you to try them. 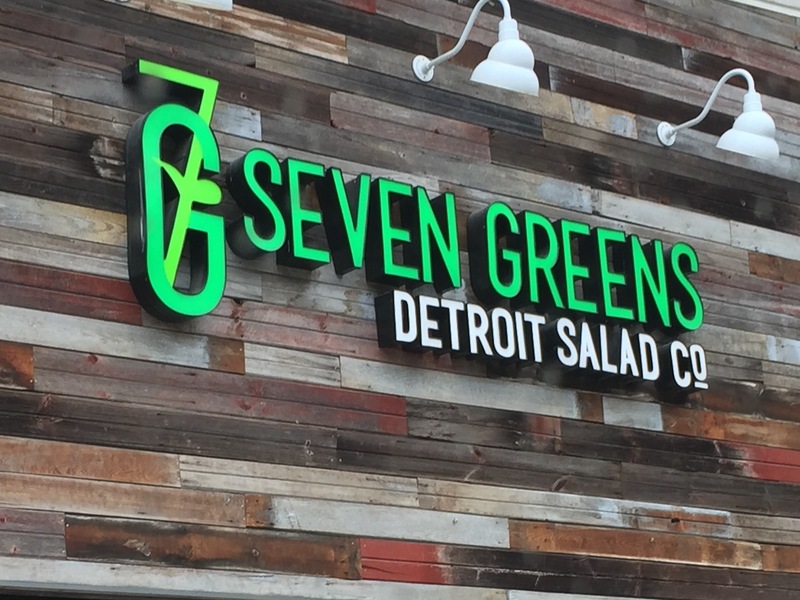 The name is 7 GREENS, located in Down Town Detroit, at 1222 Library St., next to a comic book store. I got the “Wok It To Me Salad”, and she even mixed my dressings to make it extra special. Very flavorful, and plenty to go around! My husband loves soup! So, he tried their vegetable soup with Squash! It was Goooood! It turned out to be a great experience! 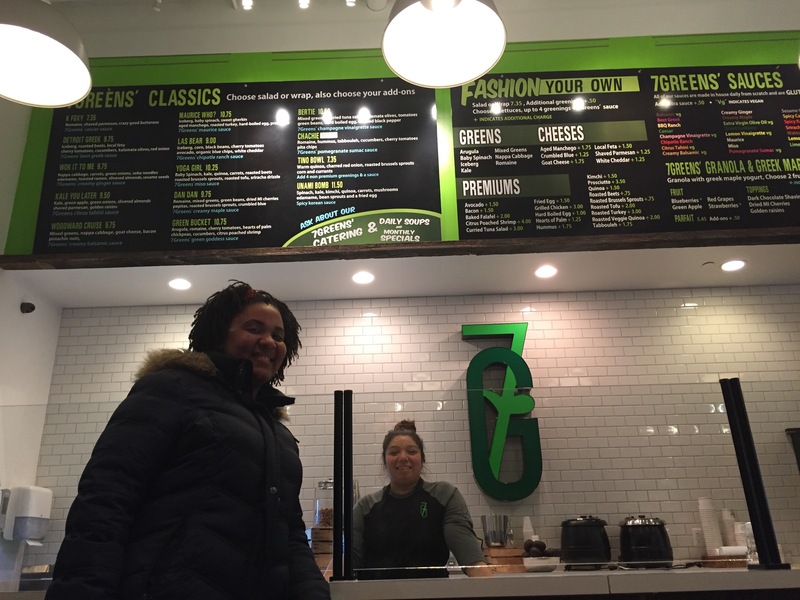 7 Greens is the BOMB! If you are ever in the Down Town Detroit Area, you should definitely try this place out! You will go back many times over. The best part about it….you walk away feeling AMAZING about eating healthy, without the guilt, the tired feeling, and knowing you did your body GOOD!